The festive season is always an ideal opportunity to upgrade my kitchen accessories. After hubby kindly bought me a beautiful blue Kitchen Aid Mixer for my birthday, I decided to update my kitchen with some more blue accessories to match. I have also decided to start collecting blue Le Creuset products, to make the kitchen match - you can tell i'm getting old can't you! 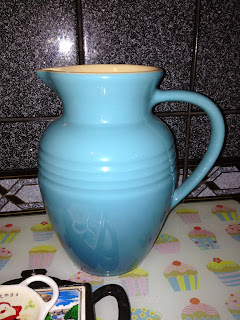 I picked up this lovely Le Creuset ceramic Jug at an Outlet Store for just £12. I can imagine it will come in fantastic use, and will look fabulous serving cold drinks in the garden on a summers day, as it matches my blue summer garden tableware. 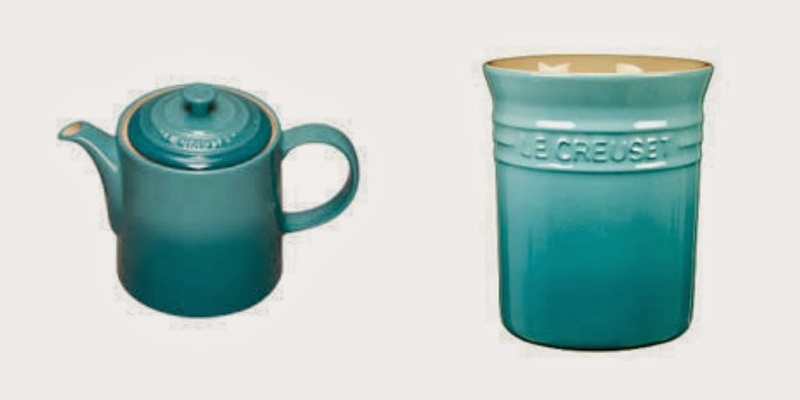 I was also gifted this lovely Le Creuset Tea Pot to add to the collection by a family member, along with the Utensil Pot in the same colour - a great start to the collection! 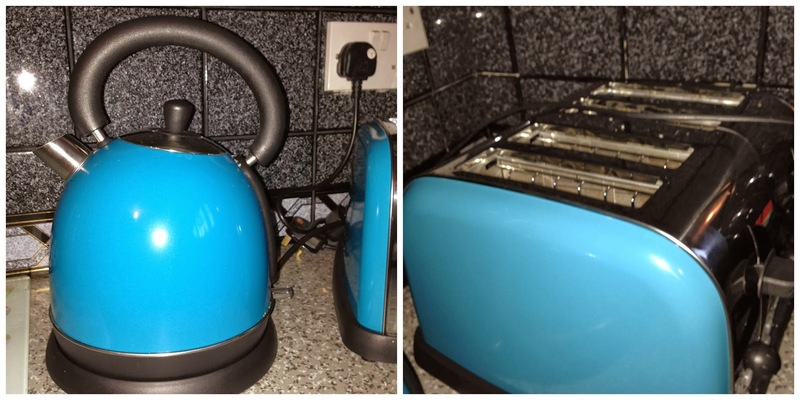 I didn't manage to match the exact colour of kettle and toaster that I wanted, but after an extensive search, I settled on this Teal range from Dunelm. They have them in-store, but not online. It doesn't match my mixer exactly, but its in the same colour spectrum and it looks good together! A couple of family members bought them for me. 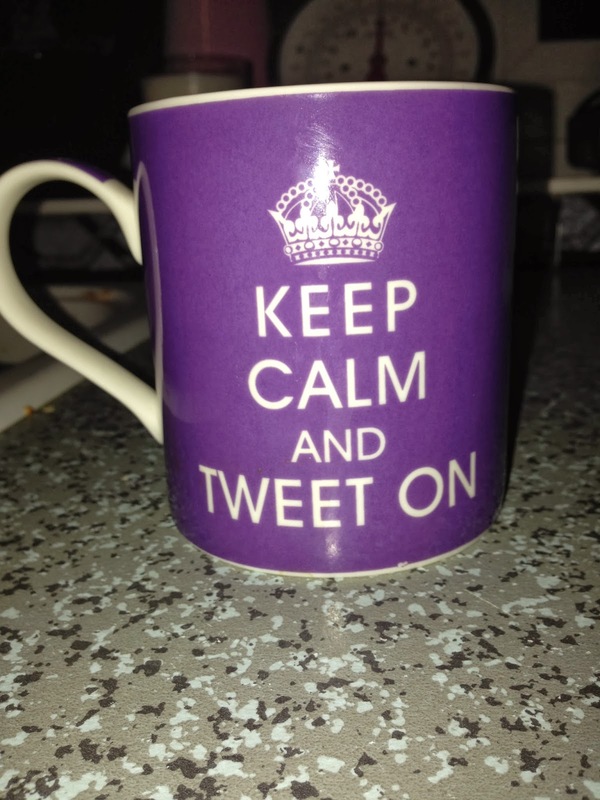 Although not blue, my Mum also found this lovely "Keep Calm and Tweet On" Mug, which I think sums me up pretty well. 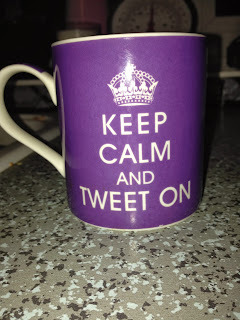 I shall enjoy sipping my Earl Grey from this! How about you? Did you get any exciting Kitchenalia or similar for Christmas? What was your favourite gift? I hope you are enjoying your new Kitchen Aid Clare - love your Le Creuset too - I have several of the utensil holders - they are so practical and come in such lovely colours. I had some Le Creuset spatulas for Christmas - they are excellent!